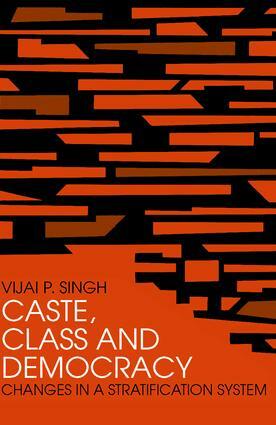 This volume is an introduction to the role of caste and class in Indian society, meant to emphasize certain important aspects of Indian society such as continuity and change in caste, economic classes, status of women, status of Harijans, village poli-tics, overseas Indians, and casteism and tribalism. Its theoretical interest is to explain the dynamics of social inequalities in Indian society. All but one of the essays are based on research conducted in India. The other is based on research on Indian plantation workers in Sri Lanka, and included here to demonstrate that the concepts of caste and class are relevant to understanding In-dians who have emigrated to overseas countries.